Leading brokers discussed MortgagBrokerNews.ca’s latest Big Story at their weekly Canadian Mortgage Hangout and opinions diverged when it comes to loyalty agreements; an issue moderator Jackson Middleton considered “contentious… with a lot of different opinions”. For Campbell such agreements are a good litmus test for determining the seriousness of a potential buyer and ensuring they are doing business in an efficient manner. And many brokers agree. However, on the other side of the debate sat Nick Bachusky of Mortgage in Ottawa. Thanks for the coverage, CMP. Any of you other Brokers or Agents out there want to discuss this or ANY other topic in our industry, feel free to email me or any of the other lads. We're always looking for other input on these topics and would welcome your's too, regardless of whether you agree or disagree. The fact that we are all talking will only help push us all forward. 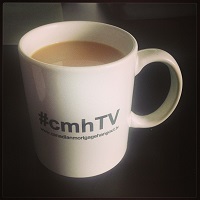 Thanks for covering #cmhTV just to clarify start time on Thursday is 10am PST/ 1pm EST. Also, on a side note if there is any brokers that are interested in coming on the show drop one of us a line. We at #cmhTV always appreciate the work Mortgage Broker News puts into raising these issues in our industry...it gives us lots to discuss and helps foster important dialogue among industry pros. Thank you!